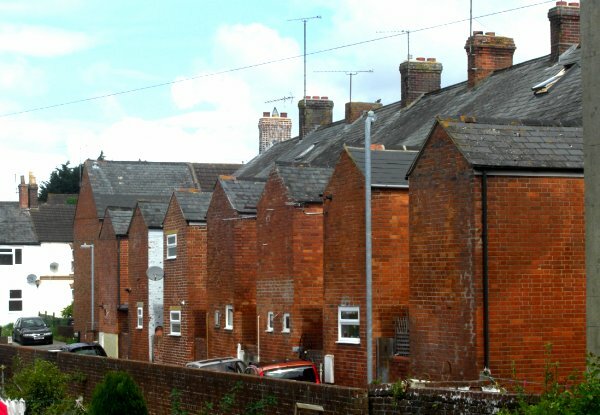 Smith's Terrace, presumably built by a builder named Smith, was speculative housing built as infill between the backs of the houses in Gordon Road to the southwest and North Terrace to the northeast. The terrace was newly-built in 1890 (see notice of sale in Gallery below) and is shown on the 1901 Ordnance Survey. 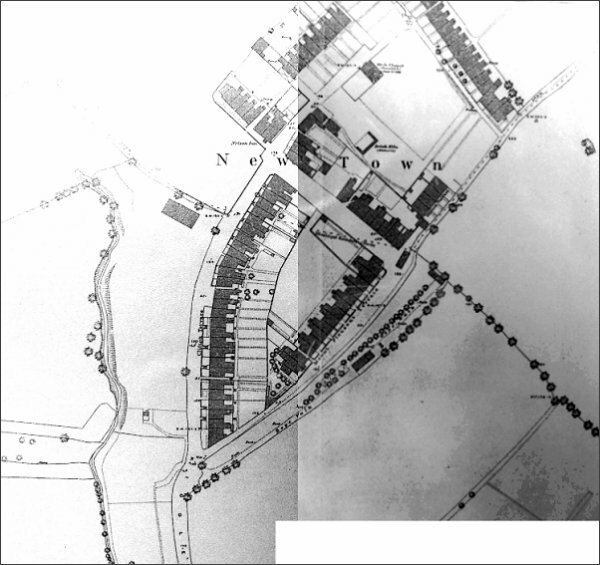 On the 1886 Ordnance Survey, at the location where Smith's Terrace would be built, is shown a 'Brick Kiln (Disused)'. This was the brick kiln of Henry Blake who was born in Yeovil in 1820. In the 1851 census he was listed living in Back Kingston with his wife Mary, twelve years his senior. He gave his occupation as a labourer while she ran a 'Dame School' of 20 children. 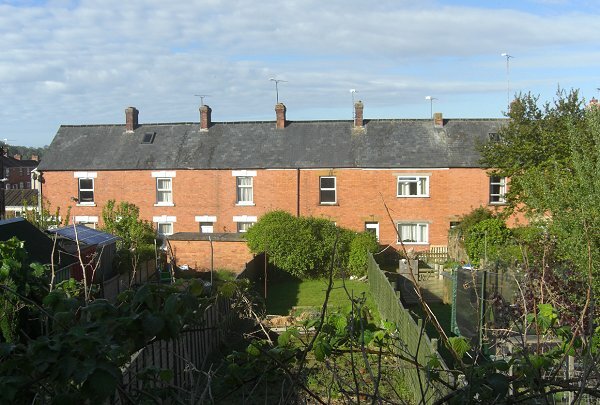 I lost them in the returns for 1861 and 1871 but by 1881 they were living in Goldcroft and 60-year old Henry listed his occupation as a Brick Manufacturer. Henry Blake died in Yeovil in 1894 aged 75. It was probably the original intention that Smith's Terrace would have a road in front of it, the original access being pedestrian access from the southern end of North Terrace. 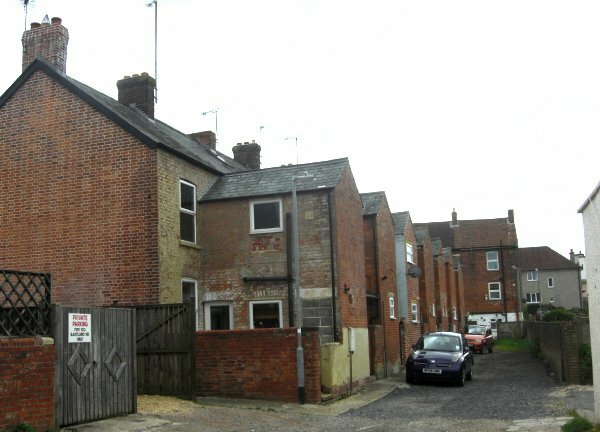 The 'fronts' of Smith's Terrace face North Terrace but the only vehicular access to day is at the rear and accessed from Eastland Road. The 'front' gardens of Smith's terrace fill the space as far as North Terrace. This map (stitched together from pretty poor copies - apologies) is the 1886 Ordnance Survey of New Town. 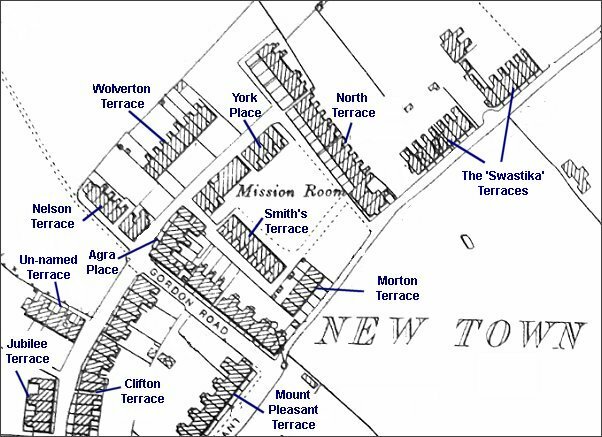 At this time Smith's Terrace had not been built..
Map based on the 1901 Ordnance Survey showing the different speculative housing projects built in the early days of Newtown. Smith's Terrace is at centre. Newly-erected dwellings in Morton Terrace, Smith's Terrace and York Place advertised for sale in the 2 May 1890 edition of the Western Gazette. It was reported in the Western Gazette the following week "There was a good attendance, but every lot was withdrawn, the reserve price not being reached." Smith's Terrace, the 'front' of the terrace, seen from North Terrace. Photographed in 2014. Smith's Terrace, seen from Grass Royal. Photographed in 2014. Smith's Terrace, seen from Eastland Road. Photographed in 2013.